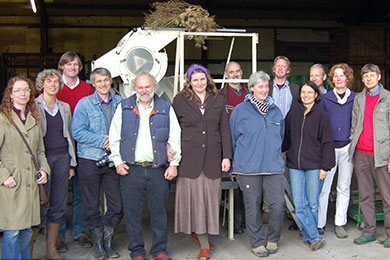 ... farmers, seed growers and fruit growers, supported by Bioland, Germany’s most influential organic farming association and organic certifier. Additional help comes from organic wholesalers, retailers, seed merchants and many private individuals like organic gardeners or people who simply love good food. If you share our aims you are very welcome to join us and become a member of Saat:Gut. 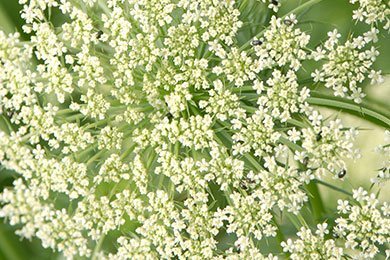 ... to breed new, well-adapted, healthy, nutritious, tasty and high yielding plant varieties which grow from open pollinated seeds. 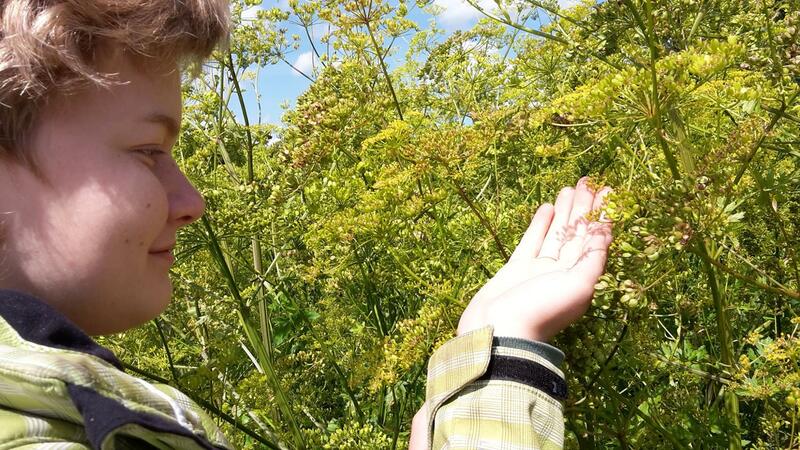 Open pollinated seeds are nature’s tried and tested way to ensure good traits are passed on. Farmers can choose to save seed from their own crop to plant the following year. 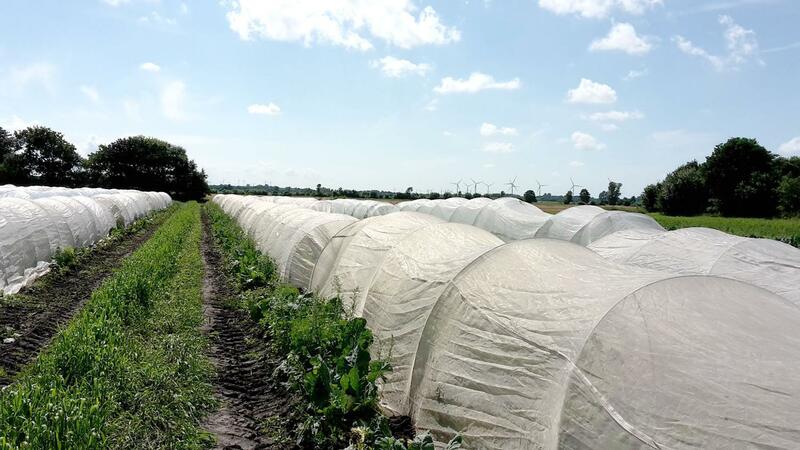 They can break the cycle of dependency from seed companies. 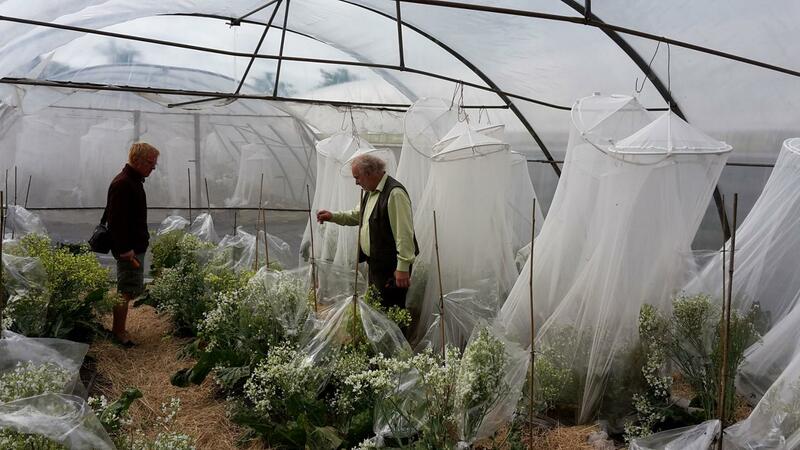 ... only organic methods to breed high value varieties. And we hope farmers and gardeners will participate and support us by planting them. The produce grown from these seeds helps us raise consumer awareness regarding the challenges and opportunities of plant breeding. We are working towards a future in which varieties once again are freely available to everyone - a common cultural heritage for all of mankind. The quality of a plant is rooted in its seed, literally: high quality, organic seeds are the basis for good yields of healthy crops. It’s the basis for good food, because we are what we eat. Organic plant breeding is different. Breeding organic is based on respect for life and trust in natural cycles. Today a few multinational companies dominate the world seed market. They sell high yielding varieties developed in company laboratories, often by applying chemicals or through genetic manipulation. While the external parameters of such varieties look good, structurally these plants are weak. Even the seeds from a first harvest are not good enough to be saved for the next season - which means that the farmers are forced to purchase fresh seed year after year. And by applying for patents the multinationals are trying (and often succeeding) to secure exclusive ownership of plant varieties with the aim to prevent farmers and market gardeners from using saved seed from their own harvests. Patents and patent applications create a situation of legal uncertainty. It’s a development that will ultimately threaten world food security. That’s why we breed organic open pollinated seeds – available to everyone who wants to grow good food. In plant breeding you learn your lessons. 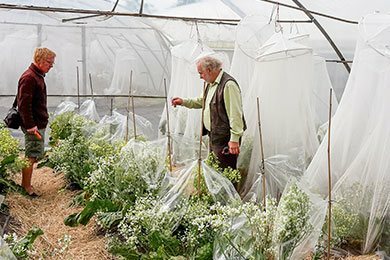 We pass knowledge on because we want to encourage farmers and gardeners to start breeding their own varieties and to make a success of it. We work and co-operate with many other likeminded organisations. We engage, teach and speak publicly about what we do and how we do it. If every farmer were to improve just one variety through breeding we would soon have a real choice of new, healthy, well adapted, high yielding open pollinated varieties. What is open pollinated? What is a sterile hybrid? And why does it matter? We try to inform and raise awareness: The issue of breeding concerns YOU as much as it does us because what we harvest will become the food on YOUR plate. If we can’t do our job you will have less and less choice. Agrochemical companies dominate the seed market with a ‘one size fits all’ approach: it’s more profitable to sell large quantities of a very limited number of varieties. Only through breeding lots of healthy, well adapted, tasty, nutritious, high yielding open pollinated varieties (breathe here!) will we be able to adapt to the challenges of climate change and keep wholesome food on YOUR plate. 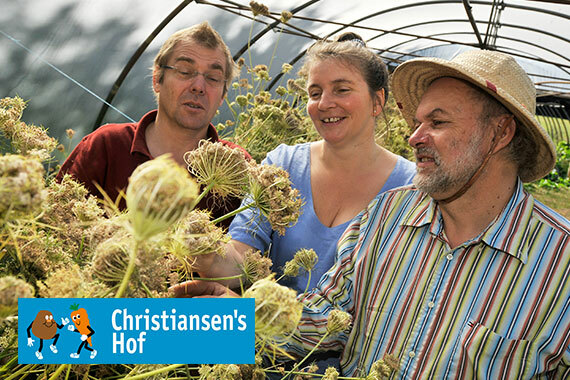 Wide open skies, fens and fertile fields, old trees and hedges to shield against the wind constantly blowing from the sea – that’s where the Christiansen’s organic family farm is situated. 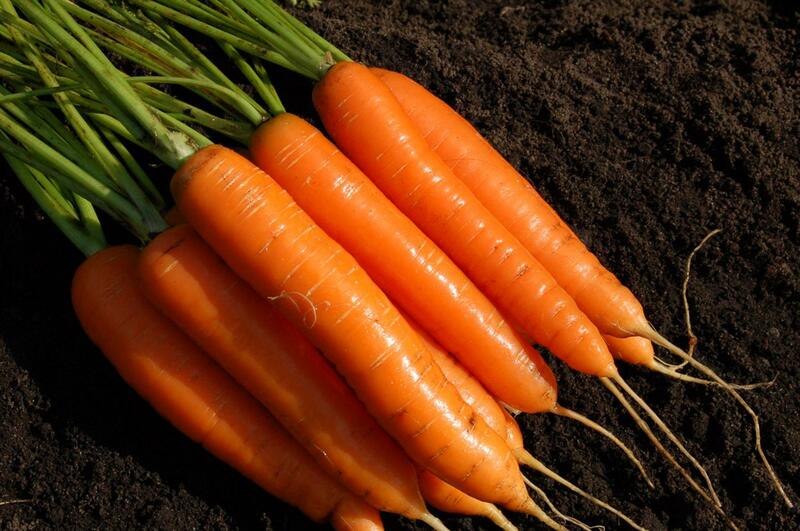 They’ve bred new open pollinated carrot, beetroot and parsnip. Cauliflower and broccoli are still under development. 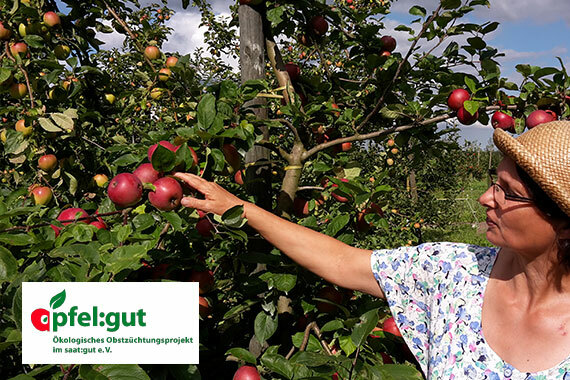 Apfel:gut is a group of fruit growers, breeding new, disease resistant and tasty apple varieties from seed in their own orchards. This takes time, but the new varieties will keep alive the best traits of a number of different heritage apples. Their broad genetic base will help the fruit trees to thrive under organic methods and cope with climate change.